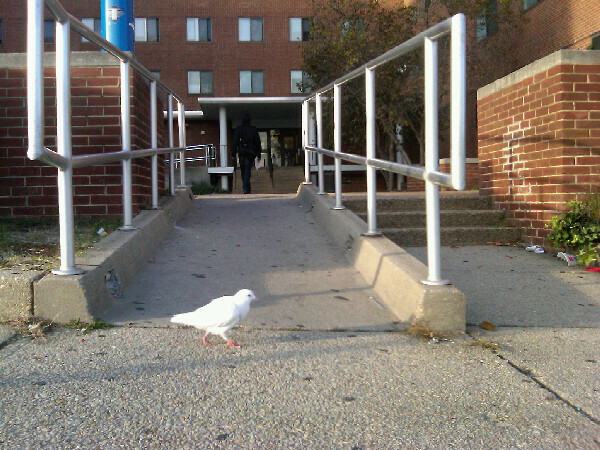 My walk down the street on a crisp early November afternoon was interrupted by the thundering steps of a random white bird. As I approached my feathered friend, I questioned if it was a pigeon or a dove. The bird didn’t question me at all. It didn’t ruffle a feather. Instead, it took to my presence… it even struck a pose. As I took a picture of this fair looking foul, and appreciated its randomness, I figured this was a sign of good luck… and proceeded into my dormitory to eat a triple-decker peanut butter and jelly sandwich. 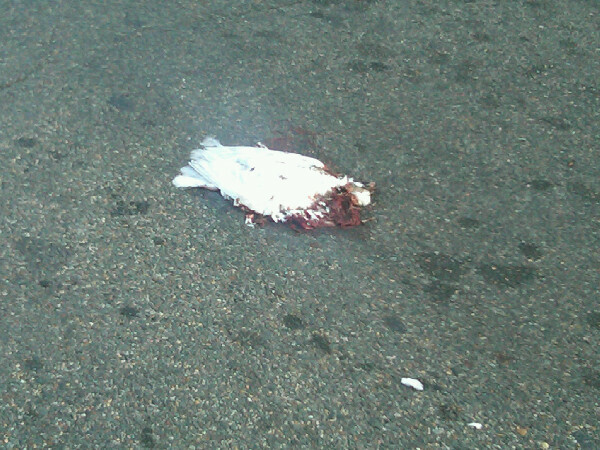 I came out of my dorm no more than 10 minutes later; I didn’t have enough time to wipe crumbs from my mouth before it dropped to the ground: the cool bird was laid in the street in front of my dorm. 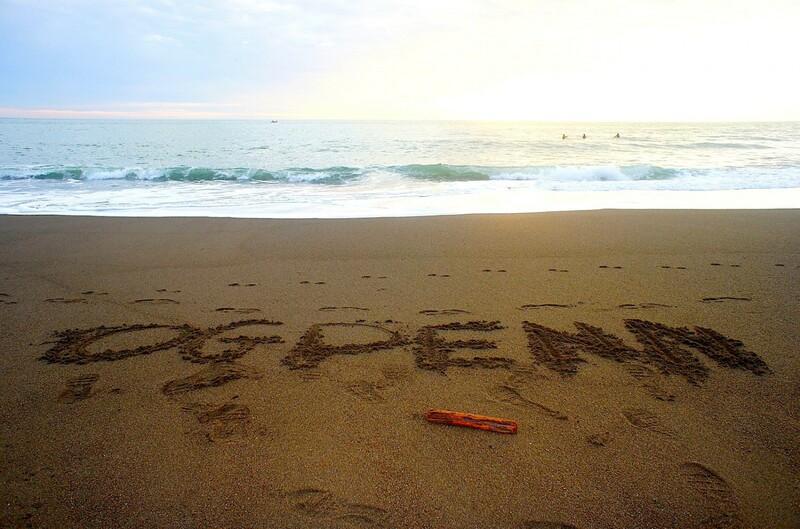 …I know there is a much deeper lesson in all of this, and it will probably hit me further down the road…. I asked a couple of friends about it, I tweeted about it, and now I’m blogging about it. 1. Doves are white pigeons. 2. Appreciate the random stuff in life. 3. Life is short: influence people and your story will live long.